The signs of acid reflux in dogs can be at times challenging to recognize. Dogs do not express their discomfort as humans do, so dog owners must pay close attention to any signs that pinpoint to a problem. 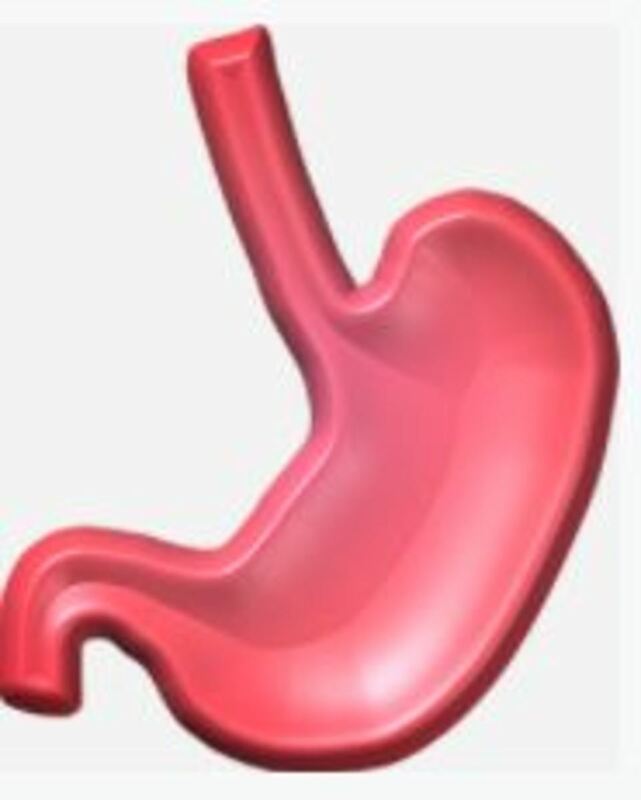 Acid reflux consists of the backward flow of stomach acid from the stomach into the esophagus. When dogs suffer from acid reflux they may react differently than in humans. Because acid reflux causes trouble internally, you may not always be able to readily detect signs of acid reflux in dogs. Now, when all goes well, a special valve, known as the lower esophageal sphincter (LED), helps prevent reflux of stomach acid (from the stomach), bile and an enzyme known as pepsin from entering the esophagus. Troubles start when this valve fails to work as it should causing bile, stomach acid and pepsin to travel up the esophagus (reflux) on a frequent basis. When reflux happens occasionally, involving only a small amount of acid, no particular damage should take place as contractions of the esophagus quickly clear the esophagus from the acid and the dog’s saliva contains bicarbonate which acts as a neuteralizer. When reflux of stomach or duodenal material ends up into the dog’s esophagus frequently though its presence there can cause a variety of problems. The acid is not meant to be there. Repeated contact of acid with the esophagus causes inflammation (reflux esophagitis) and may lead to even the formation of ulcers. Inflammation of the esophagues causes the lower esophageal sphincter (LED) to overtime decrease pressure and weaken. Acid reflux in dogs can sometimes progress into gastroesophageal reflux disease GERD, a more severe form of reflux which causes frequent heartburn. When people suffer from heartburn, they may keep their hand on their chest and claim they have a bad case of heartburn. When dogs get heartburn, they may react quite differently. Dogs don’t point to where it hurts, and, spared from the gift of voice, it’s up to dog owners to put on their investigative hat and, with the help of their vet, find out what may be going on. Following are some signs of acid reflux in dogs, but not always these signs are due to reflux, but can be a sign of something else going on. If you notice any of these signs, consult with your vet for proper diagnosis and treatment. While you may complain and reach for a bottle of Tums when your stomach is acting up, dogs manifest their discomfort in different ways. Licking lips a lot is often a sign of nausea. Just as in people, nausea can cause excess saliva to be produced into the mouth. What do dogs do with the excessive nausea? They may lick their lips to prevent it from escaping the mouth and they may swallow it. Some dogs may simply get rid of any excess saliva by licking themselves, their beds and the couch. Dogs with acid reflux often have problems when their stomach is empty for too long. For this reason, they may lick their lips a lot and gulp at night. On top of when suffering from acid reflux, dogs may also lick their lips a lot when something is caught between their teeth or something is stuck to the roof of their mouth, but also when they have a dental problem. In some cases, air licking or other forms of licking may be triggered by a partial seizure. If a dog suffering from acid reflux is taken outside, he or she may attempt to eat grass. This form of grass eating is different from leisurely grass eating dogs engage in just for the pleasure of it. Grass eating in dogs with reflux is often carried out frantically and without taking much care on what type of grass is ingested. Dry grasses or leaves may also be ingested which are often normally avoided. Evolutionary, this instinct must have provided benefit because eating grass often leads to vomiting which empties the dog’s stomach of anything insulting to it. Some dogs who do not have access to grass, may feel compelled to lick the floor or the carpet. Care must be taken in supervising these dogs and preventing them from ingesting things they shouldn’t ingest. This is likely the most easily recognized sign of acid reflux in dogs because it’s an “outward manifestation.” When dogs vomit, dog owners readily realize that there’s some type of digestive problem going on, versus the less evident signs such as lip smacking and gulping. Dogs who vomit yellow bile in the night or early morning are often found to have what’s known as biliary reflux syndrome. Bile reflux is basically bile flowing from the duodenum (small intestine) into the stomach and then the esophagus. Bile is made by the liver and stored in the dog’s gallbladder. It’s main function is to help digest fats by breaking them down into easier to assimilate particles. Normally, the dog’s pyloric sphincter prevents bile from leaking into the stomach, but at times, bile can manage to enter the stomach. Once in the stomach, if the stomach is empty, the presence of bile irritates the stomach lining causing nausea and vomiting. The vomiting of bile therefore tends to occur on an empty stomach because there is no food to help dilute the acid. Indeed, to break the cycle, your vet will often suggest you feed small, frequent easy-to-digest meals during the day (rather than one or two larger ones) with a late night and/or early morning snack to prevent the stomach from being empty for too long. Your vet may also suggest giving Pepcid for dog upset stomach. Vomiting can be seen in many other health conditions of dogs. For instance, signs of acid reflux in dogs that are old may be caused by several other underlying disorders such as liver disease, kidney disease, diabetes or pancreatitis. However, if your dog is coughing and gagging, it’s important to rule out other possible conditions. If your dog has acid reflux and is also vomiting, coughing, gagging, has trouble swallowing and you notice a change in your dog’s bark, see your vet and ask whether your dog may have a condition known as megaesophagus which may eventually lead to aspiration pneumonia. Not all dogs with acid reflux share the exact same symptoms. Some dogs may manifest some signs while others manifest others. Further signs of acid reflux in dogs include loss of appetite, weight loss, painful swallowing, dog stomach noises and bad breath. As seen, there are several signs of acid reflux in dogs. Recognizing this signs early is helpful so you can see your vet for proper diagnosis and treatment.